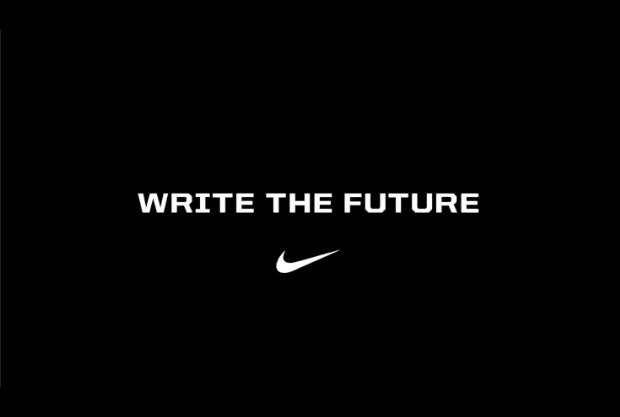 That Aristotle guy said it with more words, but he and Nike have the same idea in mind. It’s good advice. But, being the giant procrastinator that I am, I write this post to remind myself as much as anyone, that the only way to realize your dreams is to do something about them. In my case, it means that in order to sell my writing, or to even finish something to try to sell it, first, I’ve got to write. And that means every day, I’ve got to get something out of my brain and onto the page/hard drive. What’s keeping me from achieving this simple goal, you ask? How hard can it be to rattle out 1000 or so words, especially when you brag about how you can do it in something like thirty minutes? First of all, you aren’t supposed to be listening when I make such silly claims. Yes, I can do it, and sometimes I don’t have to dump those words like last month’s leftovers. Occasionally some of those words are even good. But very often they’re pure crap, but encasing a seed of an idea. The words may not be great in and of themsleves, but that little idea is there. And without the crap surrounding it, if that idea was still firmly stuck in my brain, such that it is, that tiny inspiration would never have a chance to receive the careful attention and encouragement of my friends who critique my writing and help me coax that seed into germination. The novel-length story I’ve ‘finished’ started out as nothing more than an excuse to fantasize about a certain British actor that I have had a celebrity crush on for years. Nothing more than that. Aristotle speaks of excellence gained by repetition. It’s a common fact that any muscle, without regular use, will atrophy and lose its strength. The brain is not different, even if it’s not a muscle per se. Still, those neural pathways have to be stimulated into reinforcing old connections and making new ones. Repetition, repeated writing, thinking, reasoning, all serve to make those paths deeper, wider, more conducive to the frenzied electrical activity that our thoughts and ideas are made of. Writing is what I do, yet I still find other things to do besides write. Hell, this blog entry is a distraction from the scene I should be writing. But it’s still writing. I’m taking my idea out of my brain and putting it where it can invade your brain and maybe shake a thought or two loose. Maybe this idea even likes what it finds in your mind and decides to stick around awhile, kick the tires, see where it can go. Take it places, show it a good time. If it inspires an idea that leads to more writing, excellent. But even if it just makes you think about it, even for just a few minutes, it has done its job. Go forth and write, my friends. Make it a habit, show writer’s block who’s boss. I’m going to do that right now. Right after I check my email. Rayne stopped at the opening, the rest fanning out beside her. A large chair stood on a dais at the far end of the room with a table before it. Various stacks of papers were scattered over its surface and a man sat behind it in the chair, his attention on a particular page. Galindor crossed the room and stepped onto the dais to nudge his father. The man looked up, peering over a small set of spectacles at his son. Rayne chuckled softly. Ironmacrull must have mellowed quite a lot to finally admit he needed assistance to see the scribblings of his record-keeping. The spectacles did not lend much of a scholarly air, however. Ironmacrull’s face was creased and weathered and he looked like he’d be much more at home living rough outside and tending livestock or fighting than sitting behind a desk. His deep-set eyes turned to the group before him and his eyes landed on Morag first. He grinned. “Morag! Come to marry me at last?” His voice rang out merrily through the chamber, a strong country accent coloring the words. Ironmacrull was a self-made king.